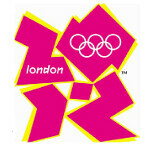 Want to show the world that you support the Summer Olympics? Well, if you own the Samsung Galaxy S III you are already sporting the official phone of the 2012 Games. But maybe that is not enough for you. You want something that says loudly that you're proudly watching the action no matter what time of the day it is when the Olympics are televised in your country. You could buy the Special Edition version of the Samsung Galaxy S III with those cute little Royal Guards that fit into the earphone jack, but that would require you to buy another phone, so that is out. Well, how about the Summer Olympics flip cover for the Samsung Galaxy S III? It is a battery cover for the unit that has a soft cover that flips over to protect the front of the phone. And the design consists of famous London benchmarks such as Big Ben. The Olympics flip cover for the Samsung Galaxy S III can be purchased at the Samsung PIN pop-up stores that you will find around Olympic venues, shopping centers and around London. The regular flip cover can be purchased from Shop Android.com for less than $33. Samsung S3 is awesome big screen flip cover, fast processor and 2 GB RAM that make Apple scream. Yes, S3 is a champ! for smartphone.